At four weeks it tasted the same: no tartness, and was a little sweet. The pH was 3.0. At eight weeks there a barely perceptible tartness combined with a slight astringency in the finish. It was still a little sweet, and still pH 3.0. The puzzling thing here is that for a beverage, 3.0 is quite acidic. I don’t understand how it could be that acidic without significant tartness. Despite the fact that the flavor was still developing, the very slow pace and the lack of pH change over 4 weeks convinced me to dump it out, and call the experiment complete. in hindsight, I should have used it to make probiotic lemonade, since the flavor is very similar to the water kefir I use for that purpose. Next time! This thing had a very strange-looking scoby. 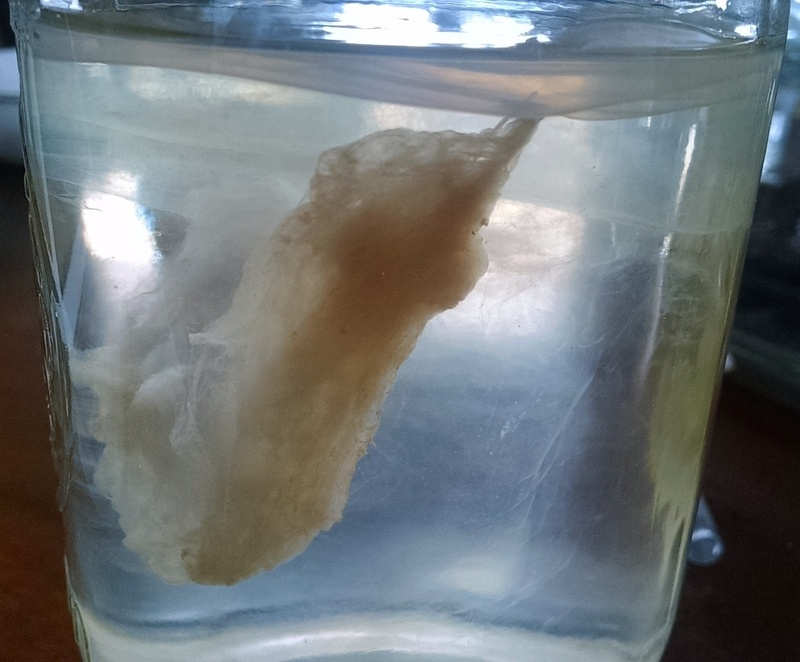 It’s hard to see, but there seems to be 1 inch of mostly-clear scoby with a milky-tan part hanging down. However, the structure must have been like a jellyfish, with a firm “skin” that’s actually hollow. 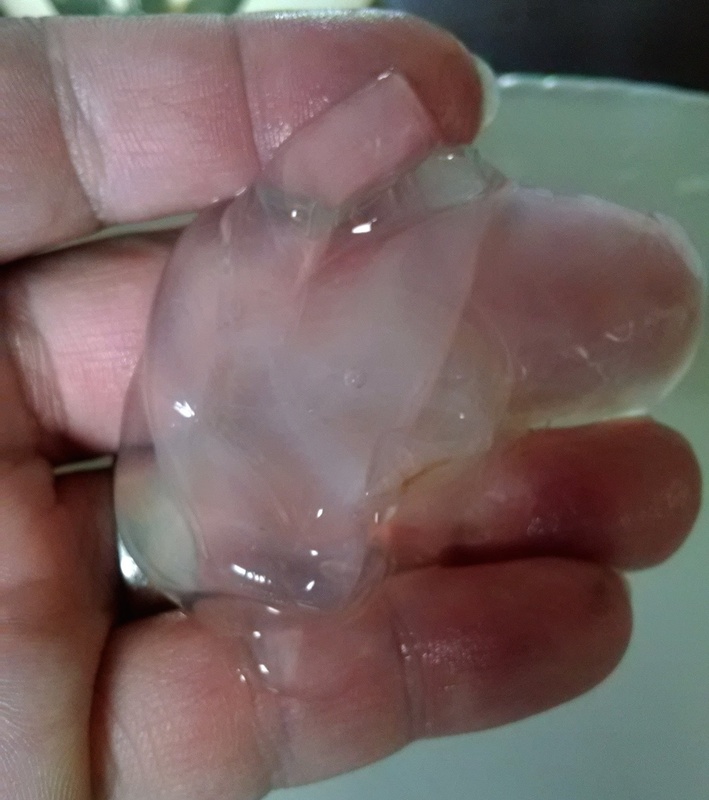 When I held the scoby in my hand, it collapsed. This entry was posted in kombucha. Bookmark the permalink. This study mentions the production of a transparent pellicle (scoby), so I guess this isn’t unprecedented.